The key to online success today is acquiring more users, engaging with them and learning more about them to offer relevant experiences. A comprehensive user management platform provides the essential tools for improving acquisition, creating engagement and building intelligence. 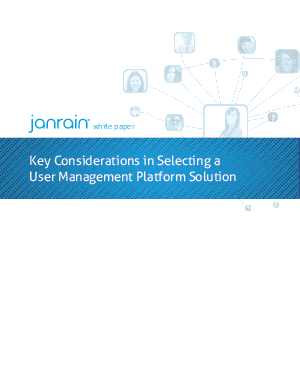 Use this guide when evaluating prospective vendors to select the right user management platform partner.